This post by J.C. quotes a controversial tweet by Robert Spencer and his documentation of the thesis o the tweet. Twitter & Facebook are participants in the enforcement of HRC RES 16/18 and must be condemned for it. Truth is the new hate speech. Resist!!! Twitter has just asked that we comment on their new policy of abolishing “Freedom of Speech on their social marketing web site. Not to worry I will do the heavy lifting on this one. I have zero tolerance for those who violate the First Amendment including their little pimple face friend over at Facebook, Zuckerbaby. 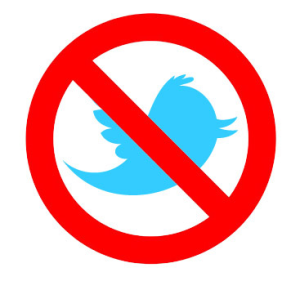 As a frequent user of Twitter, I will be one among millions who will no longer use their site. I have created a hashtag to help them announce their idiotic move. They are a publically traded company so they can do as they please. Big shock, they are from San Francisco. Bill Maher in a moment of complete clarity allows Ben Affleck to destroy his career. Hey, Big Movies and former stars like Affleck are ringing up negative numbers at the box officesnationally.